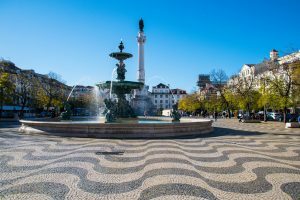 This private tour of Portugal was designed for luxury travelers who seek to experience the unique character of Lisbon and explore some idyllic corner of the country drenched in heritage, with an emphasis on Portugal's incredible Jewish history. 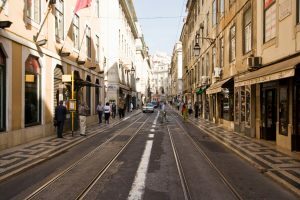 Lisbon, on the banks of the vast estuary of the Tagus River with its sloping hills and contrasting districts, is one of the most surprising and beautiful of European capitals. This is a city both Atlantic and Mediterranean characteristics, with a rich variety of heritage and styles, illuminated by an extraordinary light always reflected from the ever-present river Tagus. Then spend a night in a converted monastery in Evora, one of Portugal's most fascinating towns and continue to the Jewish Quarter in Castelo de Vide, a medieval castle town of winding streets and whitewashed houses. In tiny Marvão, learn about the hill town’s place in Jewish history, and take in spectacular views of the surrounding countryside from the walls of the 13th-century castle. 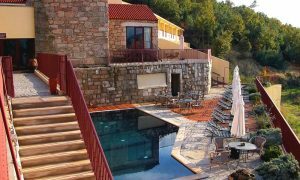 Spend the night at a luxury posada in the medieval town of Belmonte, home to a unique Jewish community that practiced rites in secret for 500 years, as well as a Jewish museum and active synagogue. and historic. 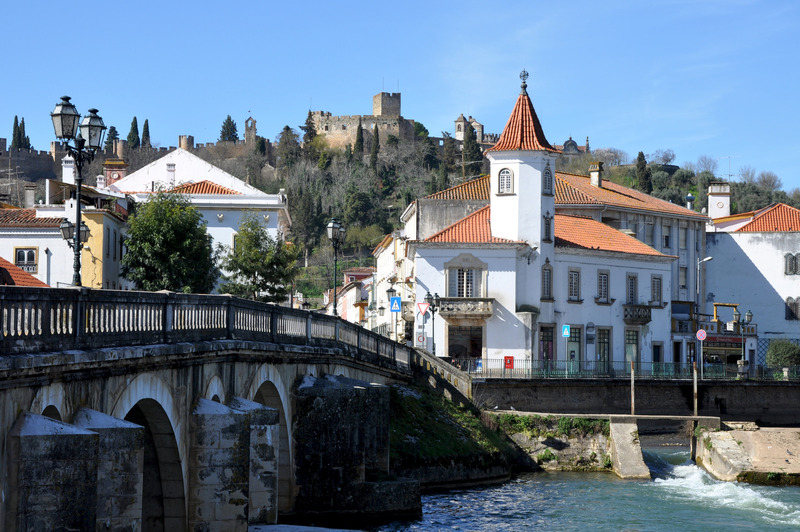 Finally discover Tomar, home to the oldest synagogue in Portugal. Touring in each location is with extremely knowledgeable expert guides and accommodation is in the very best hotels throughout the tour. Today we’ll depart the USA on our overnight flight to the Portuguese capital of Lisbon. 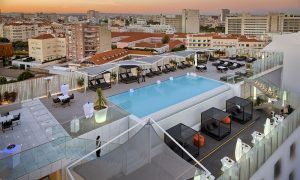 Upon arrival at Lisbon International Airport we will meet our carefully selected Deluxe Kosher Tours representative who will take us to our deluxe city center hotel - the CS Vintage. The remainder of the day is enjoyed at leisure. Dinner will be served at the hotel. Today’s itinerary will take us back to the remote origins of the city. 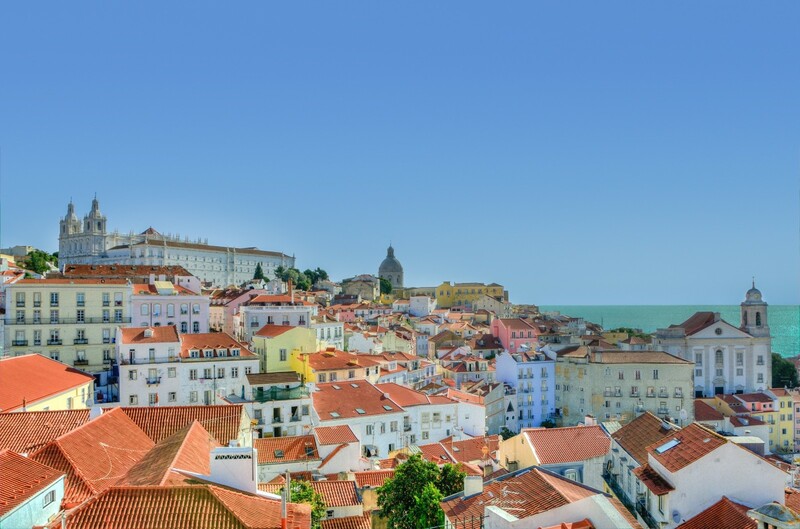 Starting from the medieval castle of São Jorge, with its unparalleled views, descend into the ancient Alfama area, with its narrow, labyrinthine alleys – once Arabic and still evoking the atmosphere of the Discoveries. 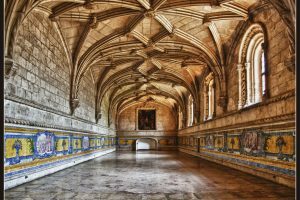 The afternoon is dedicated to the Belém área where we visit the breathtaking Mosteiro dos Jerónimos’ closter and the Torre de Belém – both jewels of Manueline art in Portugal, and both listed as World Heritage sites. Near the Belém Tower, guarding the mouth of the Tagus River from where the navigators set out on voyages of discovery of the trade routes, is the Padrão dos Descobrimentos, where some New-Christians who contributed with their knowledge towards the Discoveries, are represented. Return to the hotel for dinner and overnight. The Atlantic coast up to Cascais, with its surprising beaches and coves, initiates this morning’s program, before the climb up to Sintra is made via a road that runs through a landscape of rare beauty. This land overlooking the sea, covered in luxuriant vegetation, has long seduced poets from home and abroad. 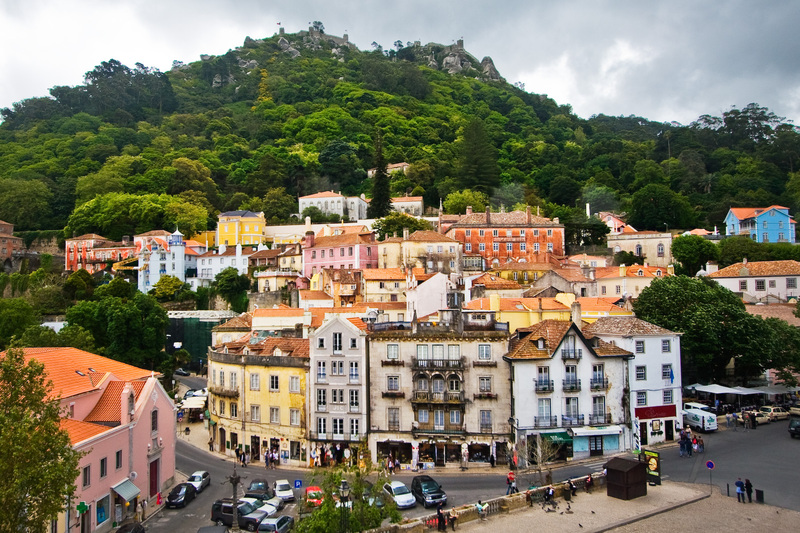 Sintra, the “Glorious Eden” of Lord Byron and ancient summer refuge of the royal court, is today the natural setting for stunning monuments, singular estates, houses and landscaped gardens bounteous with exotic plants. 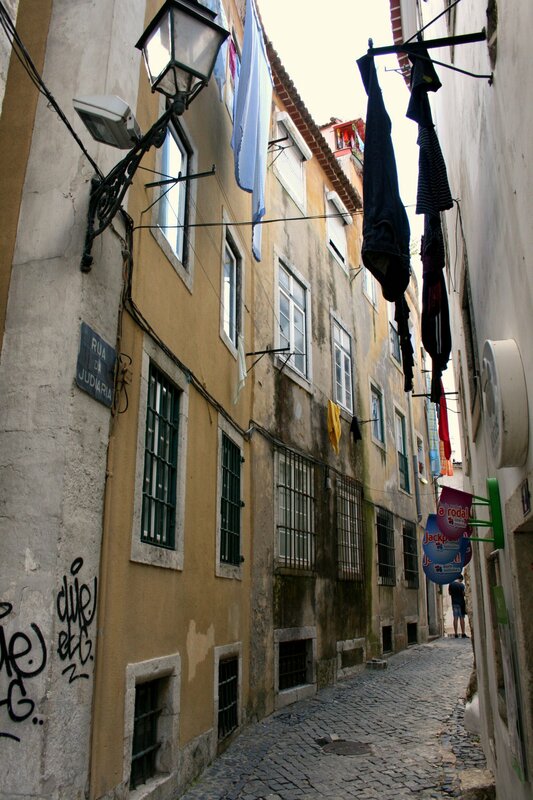 In the historic center of the town we find the Paço Real, a notable conjunction of architecture from various eras whose origins go back to the start of the 15th Century. Lunch will be enjoyed in the Palácio de Seteais, a neoclassical aristocratic house that features a baroque triumphal arch. Inside, the original decorations evoke the aura of the age of grace with frescos depicting mythological scenes and attributed to a disciple of Jean Pillement. This afternoon we climb the winding route to Sintra’s rocky summit, where the most notable example of Portuguese Romantic architecture, the Palácio e Parque da Pena, was constructed. Even more surprising is the park, planned to imitate the perfection of nature. For this different and contrasting environments were created, joining the unusual with the exotic, inspired by scenes from operas and far distant landscapes and bringing together 2,000 different botanical species. Back to the hotel to rest and refresh for Shabbat. Walk to the Shaaré Tikvá Synagogue for Shabbat services. Return to the hotel for a Seudat Shabbat. Fernando Pessoa and evoke the way of life described by the author of The Book of Disquiet. Later pass by the Rossio Square, the original headquarters of the Inquisition and where the ‘Autos-de-Fé’ took place. Following breakfast we depart to Évora. Évora, a UNESCO World Heritage site since 1986, is an ancient city of narrow streets, unforgettable churches and white, sun-washed houses. 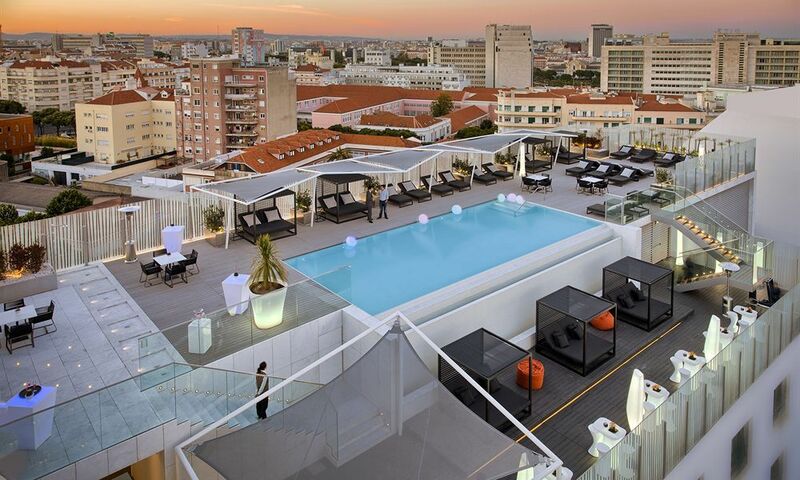 Check in at M`AR De AR Aqueduto, a new five star hotel located right in the historic center of Évora. 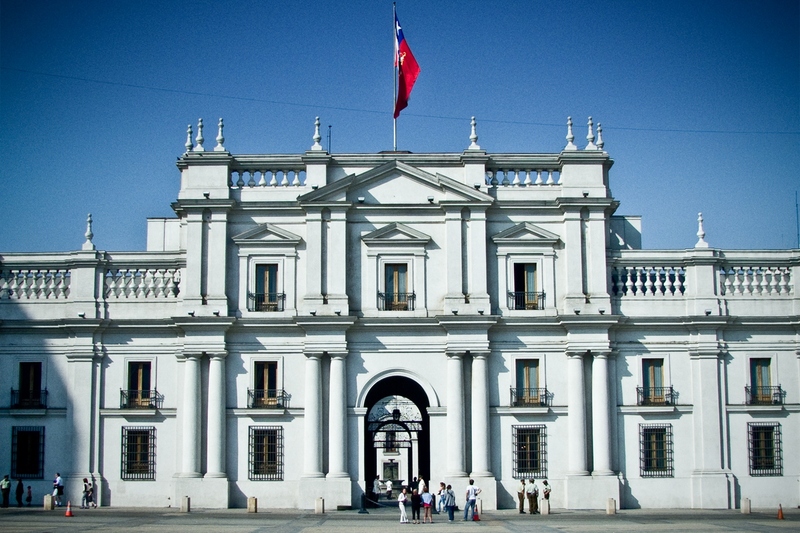 The building known as the Sepulveda Palace, is a magnificent construction of the 16 th. Century that still keeps a beautiful chapel, dome ceilings and a set of three Manueline windows on the main facade. Lunch in the hotel restaurant. This afternoon we have a walking tour in Évora to discover the secret treasure of this fascinating city and its ancient history. Visit Roman Temple; Duques de Cadaval Tower and Chapel; Cathedral, Giraldo Sqare. 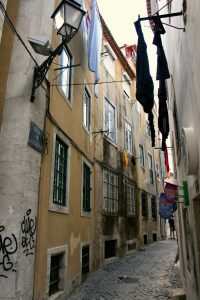 In the past, Évora had one of the largest Jewish communities in Portugal, and several houses still bear traces of the old Mezuzot. Back to the hotel where you may wish relax in the spa prior to enjoying dinner. Jewish neighborhood and whitewashed houses. Along the maze of narrow cobbled alleys you find a 15th Century Synagogue and adjacent religious school, recently restored by using the original architectural lines; the Rabbi's home, the village fountain, and even the oven used for baking. 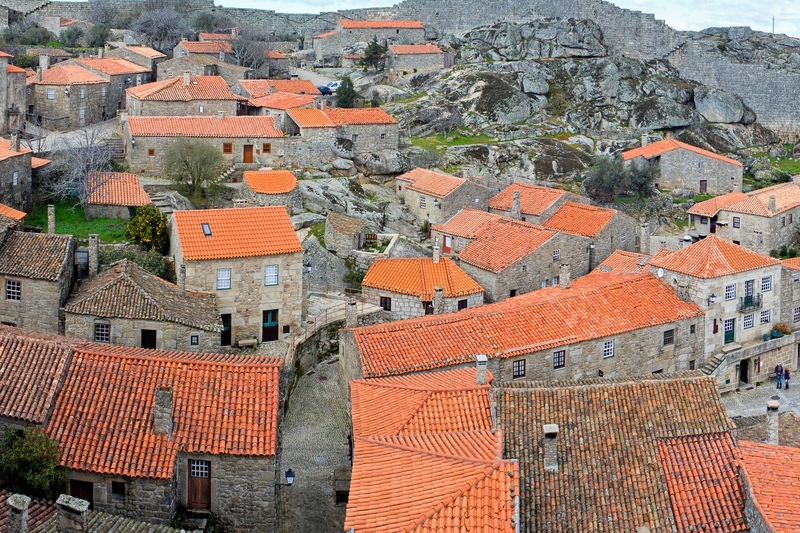 Continue to Marvão, a geranium-filled, walled village perched on a high rocky peak. Enjoy a short walking tour of this delightful, traditional Portuguese village in which many Jews once lived. Of particular interest, The Museum Municipal houses two tombstones decorated with carved Menorahs, telling of the formerly Jewish presence. Leave to Belmonte and check in at Convento de Belmonte. Time at leisure and dinner in the hotel. 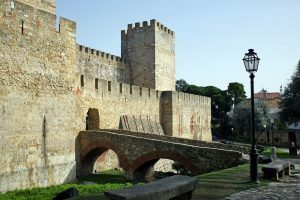 Following breakfast we tour Belmonte on a guided walking tour: we visit the Medieval Castle, the Jewish Museum, the Old Jewish Quarter and the Synagogue. 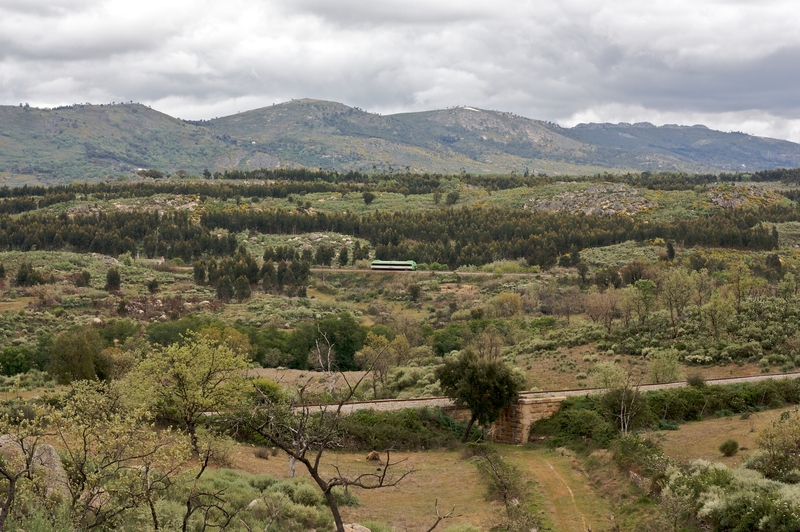 Belmonte today is an active and vibrant community with a unique Jewish history. 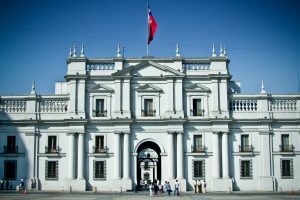 This is a secret history that during the tour you will have the privilege to uncover, composed of religious and cultural practices that have outlasted history’s adversities. Its highlights come with meeting people whose family stories are richly intertwined and about whom there is always so much to hear. 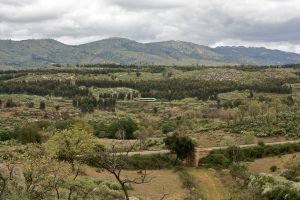 Lunch in Belmonte is in the Synagogue or hosted by the community. Afternoon visit the charming town of Sortelha. 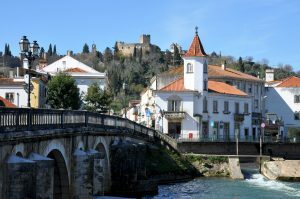 Today depart to Tomar, one of the oldest and most charming towns in Portugal, founded by the Order of Knights Templar. Visit the 15th Century Synagogue, now the Museum Luso-Hebraico Abraão Zacuto located on what was once Rua da Judiaria, Here is a significant reminder of one of the greatest Sephardic Jewish communities, now classified as a national monument. 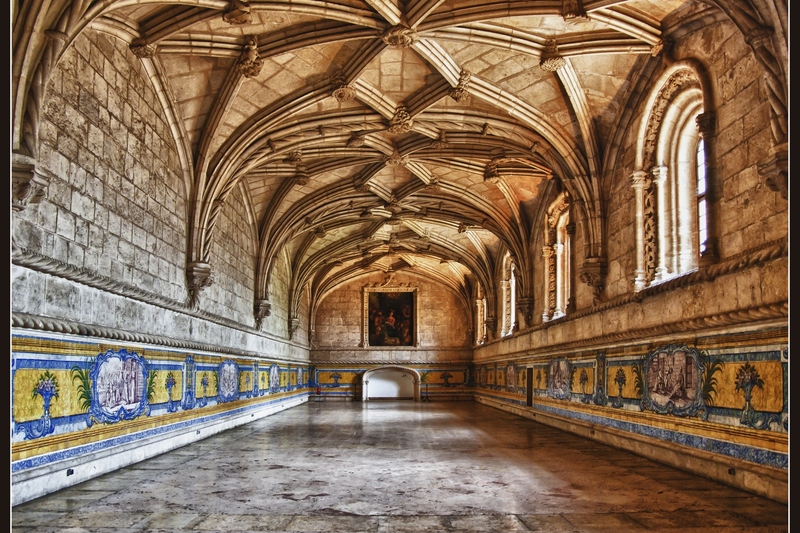 With Gothic vaults upheld by four central columns, this structure houses Jewish gravestones, the cornerstones of the 13th Century Synagogue of Belmonte and the 14th Century Lisbon Synagogue, and other remains of Tomar’s medieval Jewish community. 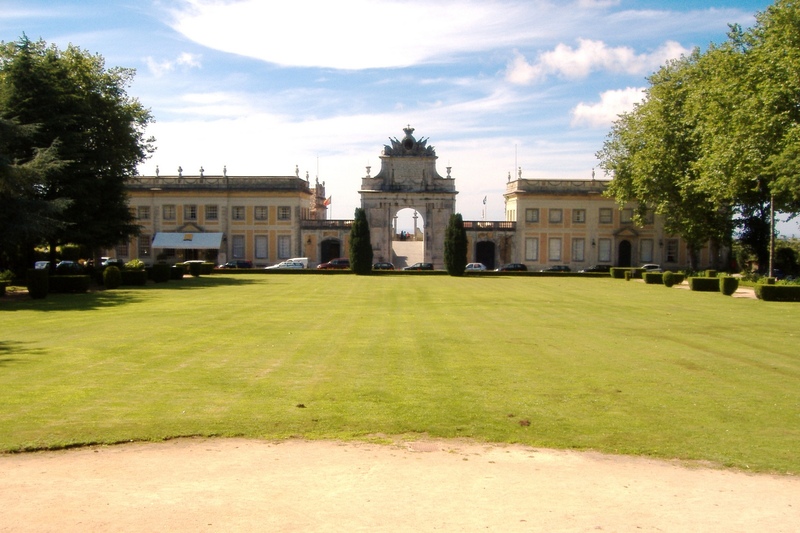 Later, we visit the Convent of Christ (a UNESCO World Heritage Site), which once served as the headquarters of the Order which promoted the Portuguese Age of Discoveries, assisted always by the contribution of Jewish scientists. On our return to Lisbon we might have time to visit the C. Gulbenkian’s Musuem na interesting collection from french and italian art… Visit the Fine Art C Gulbenkian Museum - a very interesting collection of Egyptian, Greco-Roman, Mesopotamian; Easter Islamic, Armenian and Far Eastern Art. Also European Art: Sculpture, Painting and Decorative Arts particularly 18th century French art and the work of René Lalique. Return to the hotel for a farewell dinner. Following breakfast we are transferred to Lisbon International airport for our flight home. Includes airfare from New York or Tel Aviv.